The Wests Tigers are an elite rugby league club in the National Rugby League (NRL) Competition. The club was formed in 2000, as a result of a joint venture between the Western Suburbs Magpies and the Balmain Tigers. This merger meant that the club inherited a vast geographical footprint, spanning from the Inner West of Sydney through the South West Corridor to the Southern Highlands of New South Wales. Whilst the primary function of the club is rugby league and it has enjoyed success in this area, most notable in 2005 with the club's first and only premiership, the organisation prides itself on its community engagement, with a mission to Enrich The Lives of Our Community. Whether this be individuals, groups, partners, junior participants or any other stakeholders, the Wests Tigers aim is to improve the lives of anyone who interacts with the club. Through the establishment of the Wests Tigers Foundation, the club is looking to ensure sustainable success both on and off field for years to come. 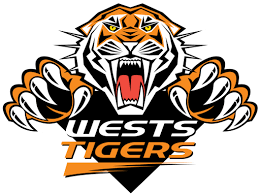 I\'m willing to contribute in anyway i can so the Wests Tigers can become the strongest club in the NRL. Fantastic and inspirational work! Keep up the enthusiasm. Once a Tiger always a Tiger. Never give up and keep this great club moving forward. Brilliant initiative and very proud to be a Wests Tigers member and supporter! Please to be part of the Wests Tigers family. Very happy to be able to contribute to the future of the Wests Tigers.